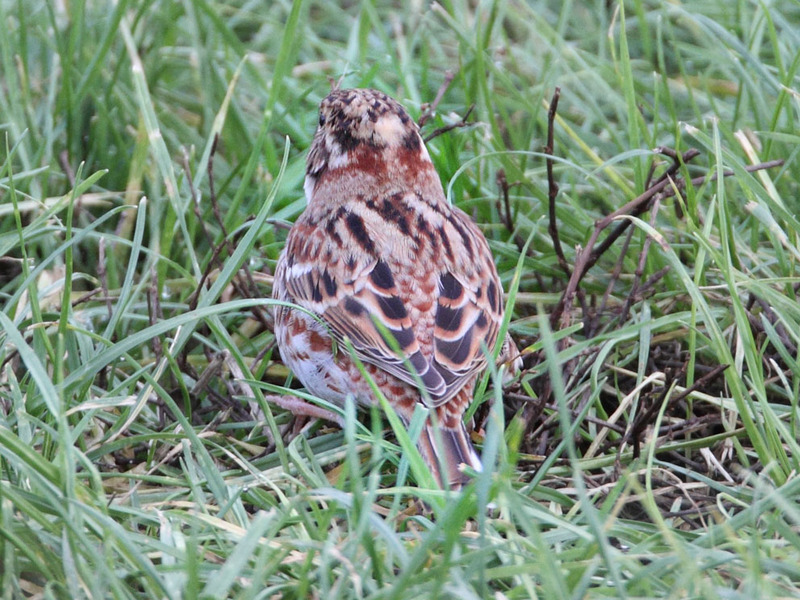 BIRDMAD: Rustic bunting in Whitstable. Lynne, my wife, wanted to visit her parents in Blean, which is only 3 miles from Whitstable. 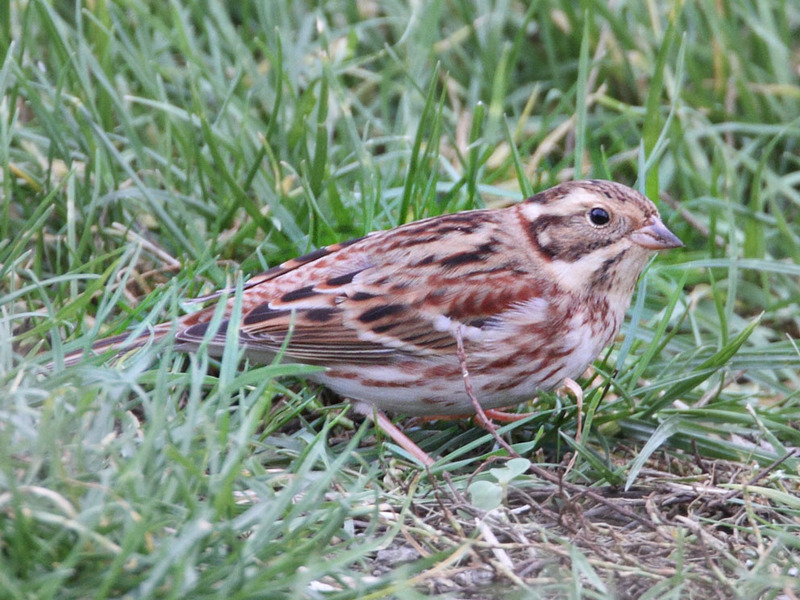 Coincidently, a rustic bunting was reported in Whitstable today. Naturally I offered to take Lynne down to Kent! I rang David, who was at Canons farm as usual. He was a little hesitant about coming because he had some coursework to do but the prospect of another lifer was too much for him. It would be a lifer for me as well. This had to be one of the easiest twitches of the year. On arrival, the rustic bunting was only 15 or 20m away and showed well for the hour or so we were there. 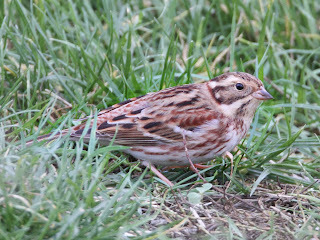 However, it is a small bird and it spent all its time rummaging through grass which was taller than it was. This made focusing rather difficult. it also didn't like being out in the open, so it would dart quickly from one tuft to another. Nevertheless, we were able to observe its plumage and habits carefully. 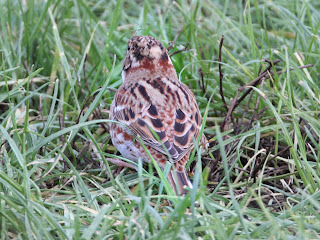 Rustic bunting from the back. Note the pale spot on the back of the head. David wanted to go to Reculver to see the hooded crow that lived there. we were not so fortunate on this second quest however. The sun quickly set and we had to go and pick Lynne up. The hooded crow would have to wait for another time!